For the past several months I have been using micellar water as my go to cleanser and make up remover. In particular I have been loving the L'Oreal Skin Perfection Micellar Water (see my review HERE). It is amazing eye make up remover but I have read reviews recommending that you also use another cleanser. This is where the Lancome Galateis Douceur Cleanser comes in. I haven't used a cleansing milk for years and years, so when I was lucky enough to be sent a bottle - I was keen to give it a try! The bottle has a pump action top to dispense the cleanser. The formulation is quite runny and milky. The bottle suggests that you apply it in light strokes across your forehead, cheeks and chin working from the middle of your face outwards and finishing off with your T zone. You then remove the residue with a tissue. The packaging also suggests finishing off with a toner. The Lancome Galateis Douceur Cleanser has a really fresh sort of unusual smell. It isn't exactly a fragrance but it is quite pleasant. It feels cooling and light on the skin. Earlier on in the year my skin was feeling a bit sorry for itself. Cold weather and central heating was leaving my skin feeling dry, so I found this a really good way to add some extra moisture. After using it I felt nicely moisturised which was great at night time, but I wouldn't fancy trying to apply make up afterwards as it would slide right off. The packaging recommends using morning and night, and perhaps if you use a toner as suggested it would cut through the greasy feeling. Personally I like the fact that it is giving me a moisturised feeling overnight and I'm happy just to stick to using it at night. Although I still swear by my Micellar Water for effective eye make up removal without scrubbing, I was amazed at how much facial make up or dirt (!) 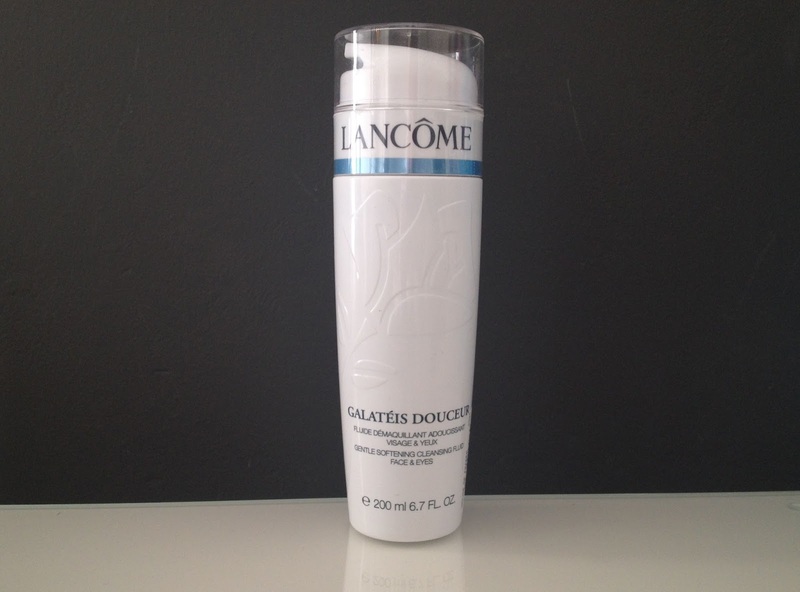 the Lancome Galateis Douceur Cleanser picked up. The colour of the cotton wool pad afterwards was the evidence, even though I had already used the micellar water all over my face! But the Lancome Galateis Douceur Cleanser is not great as an eye make up remover by itself as I did end with panda eyes as it smeared the make up everywhere. So if you are looking for an effective eye make up remover then the L'Oreal Skin Perfection Micellar Water is your best bet. 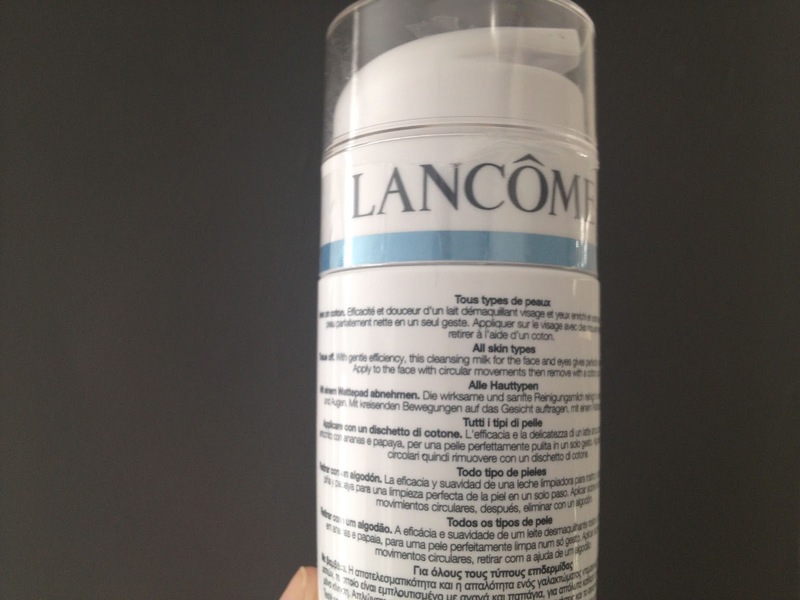 But it you want more of a skin care product or something more nourishing to use alongside a more effective make up remover then the Lancome Galateis Douceur Cleanser is a great option. Lancome Galateis Douceur Cleanser is £23 for 200ml HERE. L'Oreal Skin Perfection Micellar Water is £4.99 for 200ml HERE.